GRADUATE: BS Degree at Our Lady of Fatima University, Teaching English as a Foreign Language (TEFL). Hi! Do you wanna learn English language the easiest way? Or Do you wanna improve your English language skills? If Yes; Then your choosing the right track. Welcome to e-Space! My name is Crystel. You can call me Teacher Tel. I am pleased to be your online teacher, friend and companion in learning and improving your English knowledge and skills. I'm a Filipina and I’m currently living in Poland, Europe. Being a travel enthusiast and living in a different country, English became my first language. I have a passion for teaching. In fact, I've been teaching English privately to Korean and Chinese students way back in my university studies for 4 years, mainly focused on English communication skills, pronunciation, intonation, accent and speaking fluency. 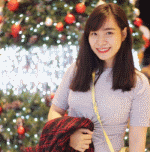 I also have experience teaching English online to Asian students, mostly Chinese, Koreans and Japanese, in different age groups, from beginner to advanced level, teaching a wide variety of courses (English for Kids, General English, Conversational English, Business English, IELTS/TOEFL/ TOEIC, Writing, Grammar, Vocabulary, Pronunciation) fitted to my students needs. I always encourage my students to speak more because in this way, learning and improving is much more effective. I simplify each lessons to make learning as easy as possible. I am very patient and creative, so you can expect a fun time learning. Don't hesitate to book a lesson with me. I hope to see you!